In Belgium of 1870, during the Franco-Prussian War a special baby girl was born, who was later to become a mystic. She was named Berthe Maria. Before the received any visions from Our Lord, she had received the invisible stigmata: in her humility she had begged that the marks not be made visible. The wounds were very painful for her, especially on Good Friday and other Fridays. She experienced the pains in her hands and feet and side. The worst pain of all was caused by the torment to her head which was like the pain of thorns pressing into her. This pain was so great and constant she slept but rarely. "Cause My Mother's Heart, transfixed by sorrows that rent Mine, to be loved." This was her apostolate, to spread devotion to the Sorrowful, Immaculate Heart of the Virgin Mary. In the following February she had a vision of the two Hearts intertwined with a dove hovering above. Jesus spoke to her again telling her to live in the two Hearts, requesting of her: " . . . you must spread devotion to this Heart so wholly united to Mine." "The world must be dedicated to the Sorrowful and Immaculate Heart of My Mother as it is dedicated to Mine." She had other revelations both from Jesus and Mary who told Berthe that she was not only the Immaculate Conception, but the Mother of the Sorrowful Heart. In the summer of 1912, Berthe began receiving more political messages or prophecies from Our Lord. He forewarned her about World War I and a coming chastisement later. After the Germans entered Brussels, Jesus revealed to her: "The worst calamities I predicted are unleashed. 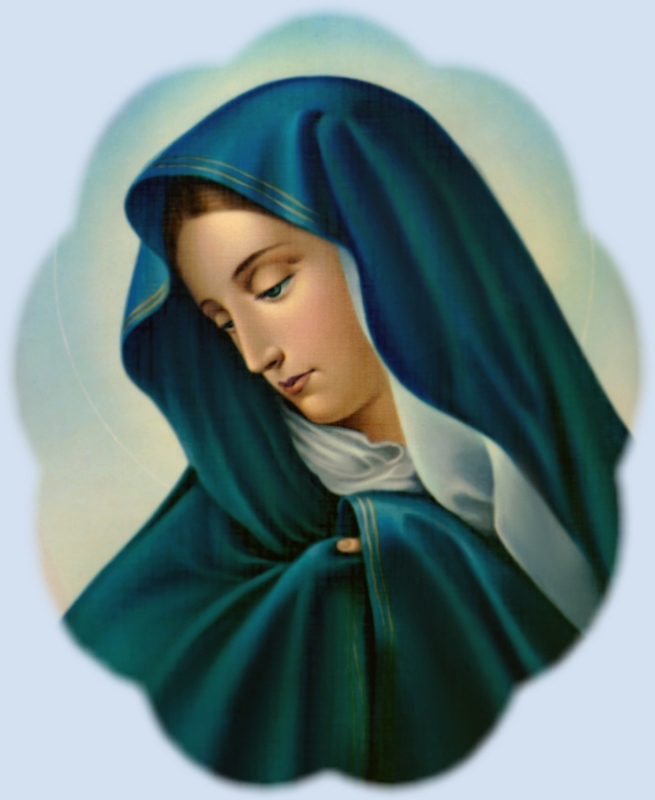 The time has now arrived when I wish mankind to turn to the Sorrowful and Immaculate Heart of My Mother. So that it may spread as a refreshing and purifying balm of reparation that will appease My anger." Both the Primate of Belgium, Cardinal Mercier and the Primate of England, Cardinal Bourne helped Berthe, the latter writing two pastorals on devotion to the Sorrowful Heart; he went further, consecrating England to the Sorrowful and Immaculate Heart. He then prescribed prayers to be said on the Feast of Our Lady of Sorrows, which was on a Friday of that year, 1916. That same day was a turning point in the War and England had a great victory. "If I had not intervened in answer to the recourse to the Sorrowful and Immaculate Heart of My Mother and through the leadership of My apostle, Francis (Cardinal Bourne), victory would have been on the side . . . who had ambitions . . . for why should I come to the aid of a France intent on persecuting My Church . . . That is why trials will continue until the day when, humbly acknowledging her errors, this nation will render Me My rights and give full liberty to My Church." "The title Immaculate belongs to the whole being of My Mother, and not specifically to her Heart . . this title flows from My . . . gift to the Virgin who has given Me birth. However, My Mother has acquired for her Heart the title, Sorrowful by sharing . . . all the sufferings of My Heart and My Body, from the crib to the Cross . . .The title of Sorrowful is most dear of all to Me . . "